Holidays to Rome are a favourite for millions of tourists every year for good reason - this is a magical city. This history, culture and attractions of Rome mean that you will never be bored when in the capital of Italy. Make sure that you bring your camera to get the ultimate Rome picture in front of the Trevi fountain or the Colosseum. If you're only going to Rome for a couple of days, you'll find that your holidays here will be packed, so pick and choose the sites that you can't leave without visiting. Visit a dome in Rome: For an insight into the religious practices of the ancient Romans visit The Pantheon. This building is still fairly well-preserved being the most complete Roman structure which has survived over 2 milennia. The Pantheon contains the tombs of Rafael and several Italian Kings, and was built by the Emperor Hadrian as a temple of the gods. Fight for this love: The largest venue built during the Roman Empire, the Colosseum took ten years to complete. It's not hard to see why, it is massive, standing at over 160feet with seating for 50,000 people. Get one of the charismatic tours to get more of an idea about what happened in this colossal site. Be sure to avoid having your picture taken with the men dressed as gladiators outside of the Colosseum - you could end up paying a hefty fee. But there is no doubt that if you visit only one site in Rome, it should be this. 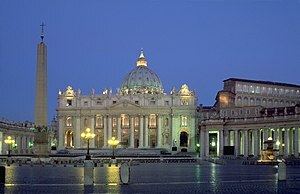 Pop in on the Pope: Vatican City is its own city state that is home to the Pope. It is a tiny area that is spread over 108acres, and a tiny population of only 800. Be sure to visit St Peter's Basilica, which is a huge and very impressive church. The Vatican is about an hour away from Rome, so it's worth taking your time to explore around it. Return to Rome: To have the ultimate holidays to Rome, you have to visit the Trevi Fountain. This elaborate fountain has the god Neptune carved out of stone. It is one of the hot tourist spots as the legend suggests that if you throw a coin in the fountain then you will definitely return to Rome. Picture perfect: It's worth climbing up Capitoline Hill to get the best views over the city. This was once Rome's symbolic centre, Now it is worth going, not only for the spectacular views over Rome but also to visit two of the best museums in the city Palazza Nuovo and and Palazzo dei Conservatori. Palazzo Nuovo is one of the oldest museums in the world and has some brilliant artifacts from Roman life. After seeing all of these incredible sites, there's not doubt that cheap holidays to Rome will be unforgettable. Fleur Fisher works in the travel industry and writes articles based on the world's top destinations and the latest holiday offers. Here she writes about the best cheap holidays in Rome.